Mart generates a grocery shopping list based on what you need and what you have, and lets you integrate with stores and flexible delivery options. 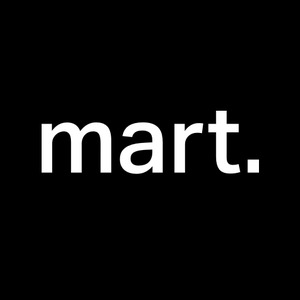 Mart.ai – Demo from Mart AI on Vimeo. Mart learns people's grocery habits, and generates a recurring personalized shopping list for them. To do this, we match users to a statistical model that we created by analyzing the grocery shopping data and habits of three million shoppers, and we improve the model constantly as the user uses the app. This gives users full control on what they have and what they need. To reduce friction and time spent on product discovery, we curate a product feed specifically for each user based on their routines, dietary preferences, and personality so they don’t have to go through thousands of products to find what they need. This allows users to discover and purchase new items, while still saving them massive amounts of time. Checkout becomes even simpler as we allow users to compare prices and item availability between stores before committing. Once a store is selected, a user can choose to pick their items up at the store, have them delivered (when it's convenient for them!) or even just go to the grocery store and shop the traditional way, assisted by Mart.